Border forces of the two countries have met twice since Saturday without outcome. 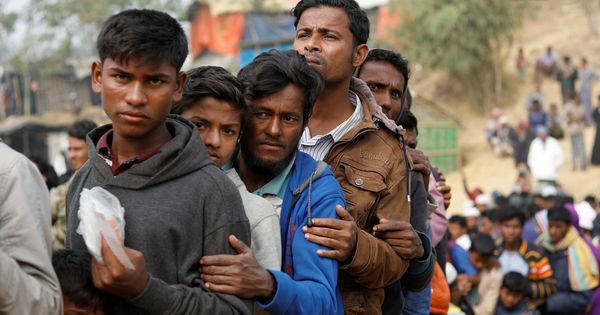 A group of 31 Rohingya Muslims, including 16 children, have been stuck near the India-Bangladesh border in Tripura since Friday, with neither side ready to accept them, PTI reported. Both the Border Security Force and the Border Guards Bangladesh claimed that the group had come from the other side. The two sides have met twice since Saturday without outcome. The BGB had informed the BSF on Friday evening that the group had been detained at the border, and asked the force to take them back. However, the BSF said there was no sign that the fence on the Indian side had been breached, and also offered the Bangladeshi forces help in surveying the Indian side of the border to look for any such sign. The BGB declined the offer, claimed the BSF. The group comprises six men and nine women apart from the children, said BSF officials. The group is behind the fencing at Rayermura in West Tripura district. The BSF alleged that the Border Guards Bangladesh had brought the group from Brahamanbari in Bangladesh and falsely showed them to have been detained on the border fence, reported the Hindustan Times. The BGB has alleged that the BSF has been pushing Rohingyas into Bangladesh, Belwa said. “We are supplying water and other basic needs from our own resources to the Rohingyas on humanitarian grounds since last night,” he said. “We have informed the authorities in New Delhi and further action will be taken as per their directions since the BGB has refused to take them,” Belwa said. Hundreds of thousands of Rohingya Muslim refugees have fled from Myanmar to nearby Bangladesh to escape persecution and violence since August 2017. 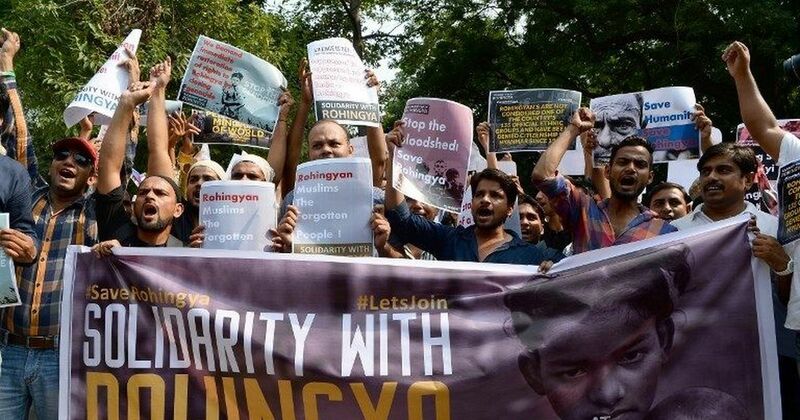 In August 2017, India had announced that it was planning to deport all 40,000 Rohingya refugees in its territory.